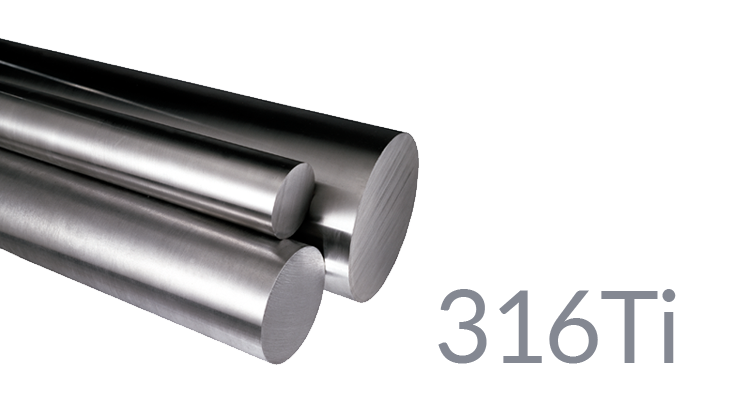 Sidenor Stainless Steel 316Ti is austenitic chromium-nickel-molybdenum stainless steel with a low C content. t is non-temperable and non-magnetic. It has good ductility even at low temperatures. Oxidation resistance is up to 875 ºC. This steel has a good degree of conformability in cold, and its hardening is greater than non-alloy steels, demanding larger conformation efforts. Intracrystalline corrosion resistance is up to 400 ºC in an extreme range of calibers and in welding processes, due to the low carbon content. However, the scale created in hot conformation, in thermal treatment or in welding processes may damage this resistance and should be removed via pickling or machining. Machining should be carried out using high speed steel or hard metal tools that have been well cooled. In its soluble state, it may present SLIGHT magnetism which increases with cold deformation.